Today, U.S. Senator Joni Ernst (R-IA) introduced the Presidential Allowance Modernization Act of 2015, legislation to reform the system for providing former U.S. presidents certain benefits and perks. Original co-sponsors of the bill include Senators Mark Kirk (R-IL) and Marco Rubio (R-FL). This is the companion bill to the House of Representatives bill, H.R. 1777, introduced by Congressmen Jason Chaffetz (R-UT) and Elijah Cummings (D-MD). 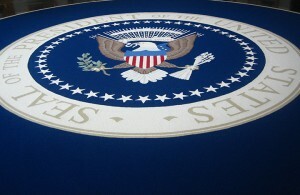 The Presidential Allowance Modernization Act would set former presidents’ monetary allowance and pension at $200,000 each per year, place reductions on perks if the former president earns more than $400,000 per year in income, and affirm that nothing in the legislation relates to the funding of the security or protection of a former president.